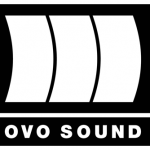 Home | OVO Sound | Has it leaked? The upcoming album from the Houston rapper, Travis Scott. The upcoming sophomore album from the Canadian R&B duo, DVSN. New DVSN Album Coming October 13, 2017!